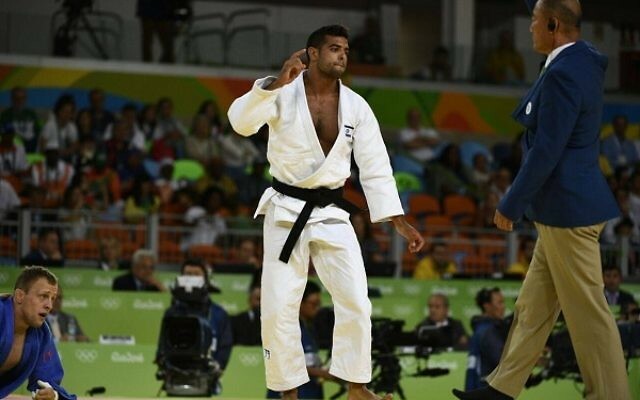 An Israeli judoka won a gold medal and three others took bronze in the European Senior Judo Championships. The tournament was held this year in Tel Aviv. 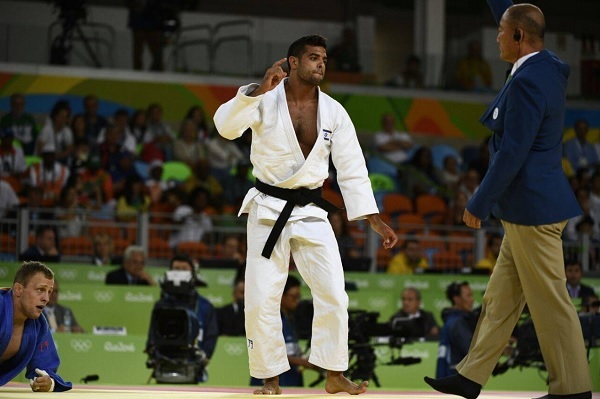 Sagi Muki won a gold medal on Friday in the first day of competition in the half-middleweight division, 73 kg – 81 kg. He defeated Sami Chouchi from Belgium for the gold. Muki also won a gold in the 2015 championships and had been considered a favourite to win a medal at the 2016 Rio Olympic Games. Injured with two slipped discs in his back, he made it to the semi-finals in Rio before losing. Also on Friday Tal Flicker won the bronze in the under-66 kg weight category after defeating Marko Gusic of Montenegro, and Gefen Primo won a bronze medal in the women’s under-52 kg weight-class, after defeating Irem Korkmaz of Turkey. On Saturday, Peter Paltchik won the bronze in the 100-kilogram men’s division after defeating Russia’s Niiaz Bilalov. Muki sang loudly as the Israeli flag was raised and the country’s national anthem was played in honor of his gold medal.